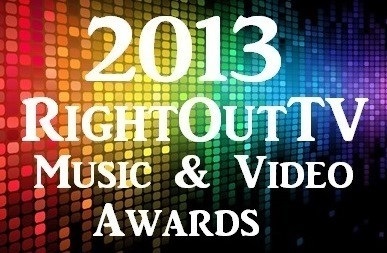 The Nominees are official and have been selected for the 2013 LGBT RightOutTV Music & Video Awards. The panel of Celebrity, Music and Film Industry judges selected LGBTI artists from New Zealand, Germany, Portugal, China, the United Kingdom, Brazil, Switzerland, Australia, Canada and the United States. The final nominees were deliberated and chosen on October 6th and officially announced via http://www.RightOutTvAwards.com and the RightOutTV Facebook page on October 10th, 2013. Members of the public may still vote until Oct. 21, 2013 (one vote per person, please) for one LGBTI artist to win the RightOutTV 2013 Fan Fave Award at the official website http://www.rightouttvawards.com/FanFave.html. Award winners in 18 categories will be announced in an online awards show featuring many of the nominees on October, 30 2013 at TheRightOutTV Awards websitehttp://www.rightouttvawards.com. Tym Moss – I Love New York At Christmas! Kevin Wood – Make it in L.A.